Happy World Doll Day! Enter to win a Wonderful doll here! and go till Aug. 7, National Doll Day! 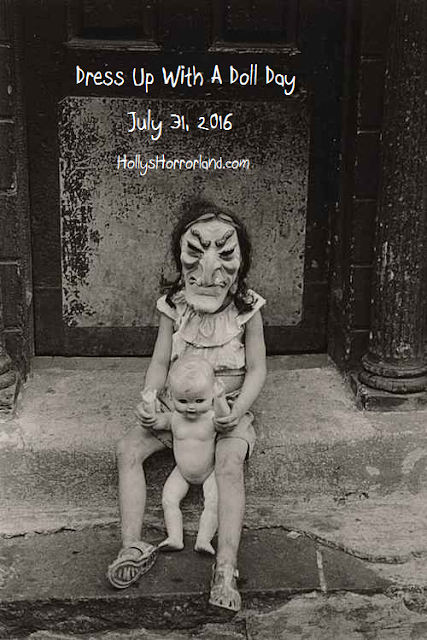 I'm making July 31 Dress Up With A Doll Day! All you have to do is post a photo in a costume or mask with a doll. That fab photo is by 60's freak photographer Diane Arbus. Who is portrayed by Nicole Kidman in the film Fur (2006). Thanks my dears! I posted another way to play here!